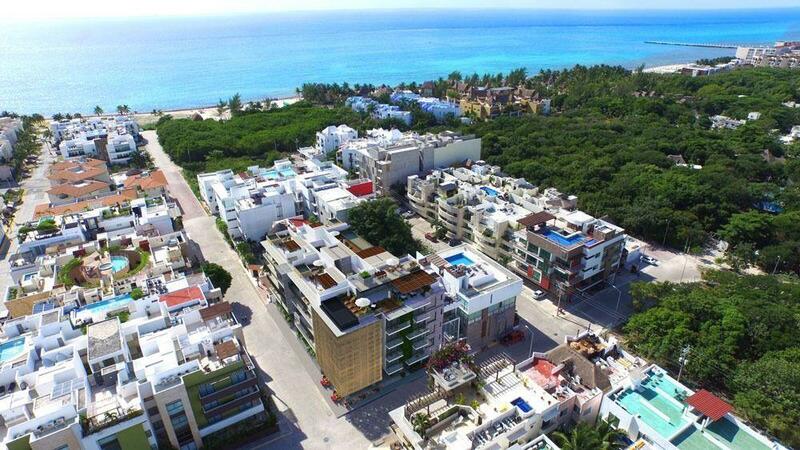 BEAUTIFUL CONDO, WITHIN THE "DIAMOND ZONE", AND IN THE BEST RESIDENTIAL DEVELOPMENTS OF THE CITY OF PLAYA DEL CARMEN, QUINTANA ROO. JUST ON AVENUE UNIVERSITIES, WHERE THE MAIN UNIVERSITIES AND SCHOOLS OF PLAYA DEL CARMEN ARE LOCATED. LIVING ROOM AND DINING ROOM WITH A / C.
BALCONY WITH ACCESS OF THE TWO BEDROOMS AND THE COMMON ROOM.